Bordeaux is rather a big place. 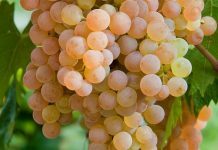 It covers over 400 square miles and they produce 700 million bottles of wine every year, ranging from enormous quantities of everyday wine to some of the most expensive and prestigious wines you can buy. In Bordeaux, there are over fifty appellations (or “designated wine growing areas”) and the wine is made by more than 8,000 winemakers producing their wines under over 12,000 different châteaux names. Try as I may, I simply cannot remember twelve thousand names, especially when being pushed around by enormous Russians in a packed supermarket. Now I’ve got nothing against the Russians you understand, except that they insist on speaking an incomprehensible language. And they do tend to push and shove their way around in the supermarkets. When I was last in Russia the locals seemed charming and well-mannered, although I admit it was some time ago. Tchaikovsky was still a boy. Anyway, the châteaux names issue is made more complicated by the fact that a single wine company can sell identical wines under different and totally fictitious châteaux names. Several years ago, in an attempt to tidy things up, the grandly named Federation des Syndicats des Grands Vins de Bordeaux announced that wine producers may use only one château name with the possibility of a second, if it was in use before 1983. The aim was to bring the number of château names down to fewer than 10,000. Well, good for them. It will be a whole lot easier to remember a mere ten thousand names rather than twelve thousand. The prices of top Bordeaux wines have soared in recent years. The Chinese are buying Bordeaux wines by the truck-load but not only that, nouveau-riche Chinese are actually buying up entire châteaux, no doubt with much Gallic guttural grumbling from the locals. Foreign ownership of French châteaux is not particularly new. However, at the Chinese owned Château Laulan-Ducos, which lies in a quiet part of the Médoc, its total annual wine production is whipped off to China. Now, that’s a sobering thought if you ask me. In the past four years it’s been said that thirty Bordeaux châteaux have been snaffled up by the Chinese and there are whispered rumours that several other important châteaux will end up in Chinese hands before we’re much older. This wine is from St. Emilion although you’d never guess from the label, unless of course you’ve already memorised those 12,000 châteaux names. 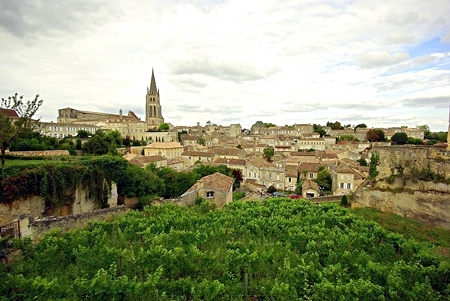 St. Emilion is quite a large region east of Bordeaux city and the wineries tend to be smaller and rather less grand than those of the Médoc. 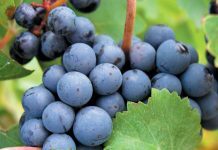 Unlike the Médoc, the dominant grape is not Cabernet Sauvignon but Merlot. Just south of Saint-Emilion lies Ch. Moulin de Mallet where at one time, windmills sprouted everywhere. One of them is now a château owned by the Couderc family since 1898. 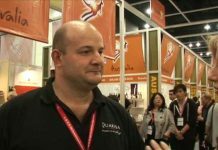 The château is managed by the present owner, Serge Couderc and his son Julien, who is a qualified viticulturalist and oenologist. This wine is a very dark, rich red with a heady aroma of black fruit, along with cherries and black currants. You might detect the faint aromas of strawberries, mint and vanilla along with a kind of slight earthiness – one of the trade-marks of Merlot. This blend is fairly typical of the region with 80% Merlot balanced with Cabernet Sauvignon and Cabernet Franc. Although there’s plenty of black fruit flavour on the palate, the mouth-feel is exceptionally soft and gentle with a framework of delicate but firm tannins. It’s a dry, well-balanced and very attractive wine. There’s a pleasant dry finish with a hint of cherries and a satisfying bite of tannin. Even so, it’s quite an easy drinker and although there’s an alcohol content of 13.5% the wine is light and unassuming enough to go it alone without food. But it would make a good partner for dishes like grilled steak with a lively sauce and for many other red-meat dishes, stews and cheese. This wine is a lovely, intense purplish red with plenty of those characteristic rivulets or “legs” that form in the glass as you swirl the wine around. The wine is produced from a blend of 70% Merlot, 15% Cabernet Sauvignon and 15% Cabernet Franc, though it took me ages to find out, because Bordeaux wine producers rarely reveal this sort of information. Predictably, the Merlot qualities tend to dominate and bring an attractive woodland aroma of blackberries, plums, herbs with a touch of vanilla and minerals. It has an exceptionally soft mouth-feel with flavours of rich dark berries and minerals. There’s an attractive touch of acidity too, with a good framework of firm dry tannins. This wine won a Bronze medal at the Bordeaux Wine Awards (Concours de Bordeaux) which for the last sixty years has been one of the most important events in the Bordeaux wine industry. Oh yes, the wine has an excellent finish; clean and dry, herby with touches of fruit, fine tannins and a hint of some mysterious beguiling aroma that I just couldn’t put my finger on. Perhaps your finger might be more successful. This wine is rather elegant and refined – just what Bordeaux should be, in fact. Unlike many New World reds, Bordeaux wines tend to be more restrained on the palate. The emphasis is never on an “in-yer-face” style, with bucket-loads of fruit in every mouthful. Bordeaux wines, for me at least, seem to be more about elegance, restraint and balance. They seem to veer more towards grown-up sophistication rather than playfulness and novelty. I really hope that the new Chinese owners of the recently purchased châteaux understand these values and not simply put quantity over quality. Two thousand years ago, the vine was introduced to Bordeaux by the Romans. There’s a tradition to uphold and the French, quite rightly, take these matters seriously, especially in Bordeaux. Previous articleWant a GT3 in your garage?